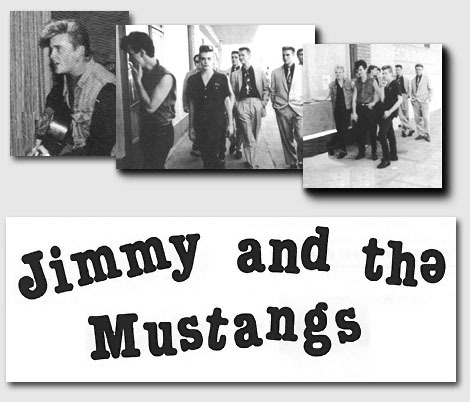 Jimmy and the Mustangs is an American rockabilly band fronted by Jimmy Haddox (sometimes credited as Jimmy Silvers). Emerging from the Punk Scene in Southern California during the 1980s, Jimmy and the Mustangs played their first live show to a sold-out audience opening for the renowned all-girl band, The Go-Go’s. At the time, the band’s “root’s music” was fueled by fury-driven, gut-wrenching guitars, not unlike their punk contenders of that era. 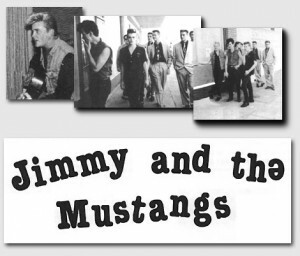 As the band progressed, a more definitive sound began to evolve, and Jimmy and the Mustangs carved out a style of rockabilly and swing unlike any other band in Los Angeles at the time. World-famous Hollywood Nightclubs like The Whiskey, The Roxy and The Starwood began booking Jimmy and the Mustangs as an opening act for L.A. bands such as X, The Blasters and Los Lobos as well as touring bands such as Chuck Berry, The Stray Cats and Joe Ely, just to name a few. It wasn’t long before Jimmy and the Mustangs were headlining the same clubs with sold-out shows of their own.